Did you turn the ignition keys, but the car won’t start? Give us a call. We are experts in car key repairs and can help you with any related problem. Everyone in our team at Thornhill Locksmith is trained to take care of any car key issue. As emergency mobile experts, we cover such urgent needs 24/7. Need Thornhill ignition key change or repair? Depend on our fast response and outstanding work. 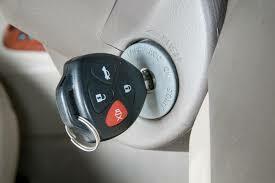 We own special car locksmith equipment in order to fix, change and program ignition car keys. They are made to work only with one car and for this reason their programming must be accurate. Our customers can rely on our expertise and the high quality machines we keep in our trucks. Our team works with the best software in Ontario which is used for the programming of new ignition vehicle keys. When you need an automotive key made quickly, our company can serve your needs right away. Did the key break inside the ignition? Is the ignition damaged? Once the broken key is extracted, we use an ignition key replacement to make a new one. The key blank is cut to fit in your ignition and car locks, and is programmed to work with your car’s security system. Did the ignition key problem cause the steering wheel to lock? Our technicians can fix it. Want emergency ignition key change in Thornhill, ON? You can depend on our team 24/7. Whether there is a problem with the key or the switch, we can fix it. When the problem is with the ignition, we must change the ignition key too. Most car keys are not simple ignition keys. They are transponder keys used to open the door and start the engine. If you can’t unlock the door or want car door lock rekey, trust the service to us. Problematic lock? Damaged key? We offer repairs, rekeying, ignition service, and ignition key change. Call us for any service.